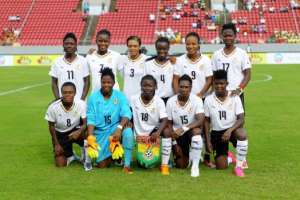 Interim coach of the Black Queens, Mercy Tagoe has maintained her team that defeated Burkina Faso in their final group match in their semi-final clash with Nigeria in the ongoing WAFU Women’s tournament on Thursday evening. The Queens will be hoping to play in this year's WAFU finals as they prepare for the Africa Women Championship that will be hosted in Ghana later this year. Subs: Nana Ama Asantewaa, Juliet Acheampong, Ernestina Tetteh, Rita Okyere, Ruth Appiah, Priscilla Saahene, Mavis Owusu.